'My take on' is designed to be a platform for an honest perspective on a relevant issue or subject. To put forward a candidate to give their take on an issue, please email david@prolificnorth.co.uk. 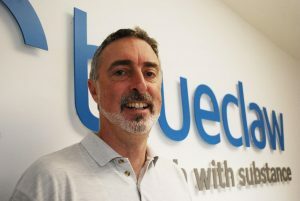 This week Aidan Cook, Managing Director of Leeds-based search marketing agency Blueclaw, responds to last week's suggestion from David Campbell that big data is killing big ideas. According to Prof Sir Andre Geim (Nobel Prize winning inventor of graphene), many great scientific breakthroughs begin with someone thinking "Oh, that's weird..."
Big data can provoke that reaction. Of course big data alone often doesn't provide clear answers or insight but what it makes possible is interpretation that rewards and inspires curiosity, and those revelations that prompt a response. Big data can challenge the received wisdom of "things we all know", often displaying contradictions that are counter-intuitive. Creating stories and narrative around the data is where ideas can flourish. One of the best recent “Big Idea” pieces grew out of data. Three years of research produced the insight that only 2% of women considered themselves “beautiful” - and this was the spark that inspired Ogilvy/Dove to create the incredibly successful “Campaign for Real Beauty”. The idea was creative, but the inspiration was in the data; data that underpinned the campaign with the confidence the target audience would engage with it. What is becoming more common these days is increasingly sophisticated ways of gathering and interpreting data, without the need for a traditional long term qualitative study like the Dove piece. Naturally, the more people perceive themselves to be the subjects of data-driven marketing, the less resonance they will feel if there data leads to the wrong conclusions. The examples of targeting failures that David Campbell mentioned last week show where people aren't using data cleverly. If he sees only protein adverts in Facebook it is because he's in a demographic targeted by those advertisers with good reason, even if he may not currently share their behaviour. Done properly, over time the data/targeting refinement will improve and he will see fewer such ads. It is even possible that in a couple of months David will bow to the pressure of his demographic peers, decide to do some Tough Mudders, and develop an interest in protein products. The point of “Big Data” is that there is so much of it that it becomes hard to argue against and, over time, should only be applied better. Why? Because Netflix knows how I think. How we think. The company successfully crafts and commissions creative, emotional programming - and uses data to do so. Analysing its 80 million subscribers, Netflix understands our preferences and habits better than we do. Exaggeration? Read this Wired article on the analysis Netflix devotes to TV show covers; promo images that ensure the right viewers will select them. Who cares if Stranger Things’ success was generated by algorithm? 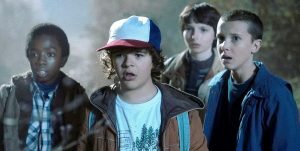 Stranger Things' success was generated by algorithm as much as the creative process. Does this make Stranger Things less of a show? You could say it was an expression of the creative process as much as it was generated by algorithm... and I’m pretty sure I’ll watch the second series (although I bet Netflix could quantify the probability I will). Big data and big ideas aren’t an “either/or” proposition; they should be collaborators, combining to produce great work for the right people. I’m not arguing against one and for the other, but I love the work that happens when the right people combine them cleverly. Companies don't need to have the global reach and number-crunching firepower of Netflix to make use of the magnetic draw of data aligned to big ideas. We recently built a piece showing the national origins of every player in the Euro 2016 tournament. Journalists around the world used it to illustrate their narratives on nationality in Europe; their reactions weren't universal, but their ideas were generated by being able to see and explore data that showed things like '65% of the French national team could have chosen to play for another country'. It may be a natural reaction to resist categorisation, to resist the notion that our tastes, preferences and perspectives can be (with increasing accuracy) used to drive art, advertising and marketing. As long as data can reveal and support things we never knew about ourselves and the world we live in, there will be a huge place for it in marketing - and I welcome it.